This Crown Brush Fuego Eyeshadow Palette has 10 beautiful warm copper shades. With this 5 shimmer and 5 matte shades you create a breathtaking look. This Crown Brush Fuego Eyeshadow Palette has 10 beautiful warm copper shades. With this 5 shimmer and 5 matte shades you create a breathtaking look. 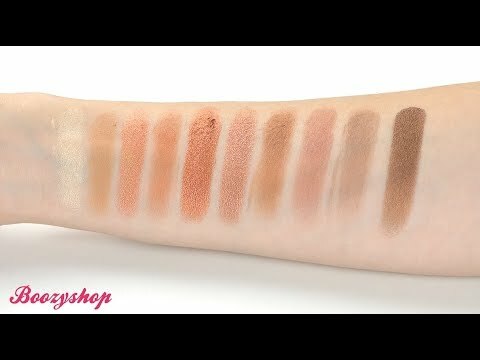 The shades in this palette are highly pigmented and suitable for every skin color. All colors are perfect to blend, so you can create the perfect color that suits your eye color best! Shop this limited edition palette of Crown Brush quickly and let your eyes do the talking! 5 shimmer and 5 matte shades. Suitable for every skin color. Use a good eyeshadow primer before applying the eyeshadow. This makes the colors more intense and they stay on perfectly. Apply the eyeshadow with an eyeshadow brush and blend it with a blending brush. Tip! : If you prefer a natural eyelook, apply the eyeshadow with a dry brush. Still prefer a bold eyelook? Then dampen your brush and dab it into the eyeshadow. Talc, Mica, Polymethyl Methacrylate, Boron Nitride, Kaolin, Magnesium Stearate, Dimethicone, 2-ethylhexyl Palmitate, Hydrogenated Polyisobutene, Mineral Oil, Polyisobutene, Tridecyl Trimellitate. May contain: Iron Oxides (CI 77491, CI 77492, CI 77499), FD & C Red 40 (CI 16035), Ultramarines.